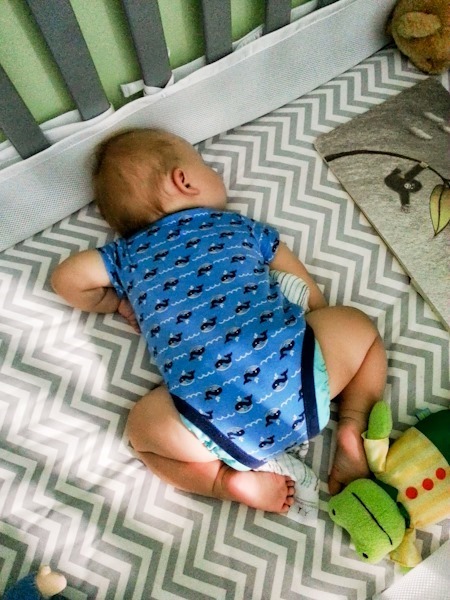 We dropped down to one nap at the end of September when Mazen was just over a year old. We were headed to the beach with friends and wanted to maximize our time to play, so I decided it was a good week to experiment. M had been fighting his morning nap a bit in the weeks prior (on and off) so I knew he was probably getting close to not needing it. We had been at 9am and 2pm naps for a really long time, give or take 30 minutes. He was sleeping for about an hour and a half each time (I think). So when we went to the beach I kept him up, gave him lunch at 11 and put him down at noon and whatddayaknow, he did great. It took a while for naps to lengthen. I remember for a while I went from 2-3 hours of naptime to 1 hour total a day and thought “What did I do! ?” But then from about 13 months to 16 months we had some good 2 hour stretches. Teething definitely interrupts naps for us, but thankfully when teeth are not bothersome he will sleep for 2 (occasionnnnnnally 3) hours. So my advice to other moms is when your baby starts to show signs of refusing his/her morning nap, push the nap back a few hours and try it then in the middle of the day. Only bummer is now you can’t go out to lunch! Aww look he cute he was! 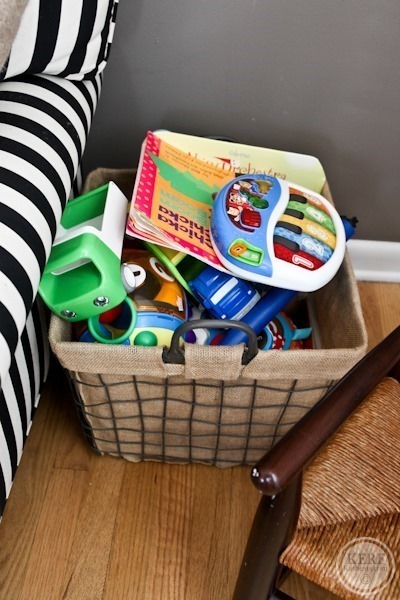 Mazen’s room – this is a small basket of small toys. The upstairs living room – a medium size basket full of his favorite toys. This is where most of the playing happens. 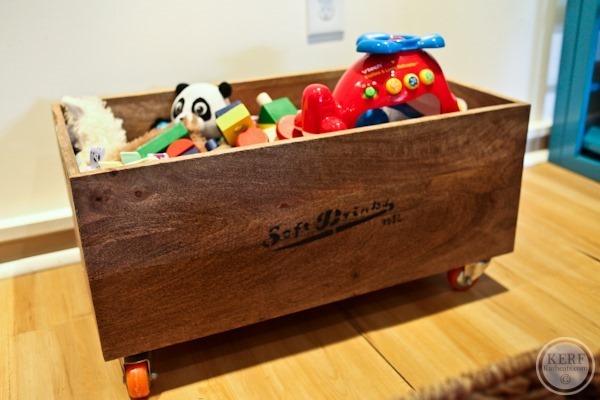 The basement train table – more toy baskets and a lot of the toys stay out on the table. He also has toys in his play closet. Bigger toys are kept down here. Each area has something to contain the toys where we put them away when he’s done playing. We do most of our reading in Mazen’s room before bed. I have a big box of books and a smaller basket that can be brought into bed for nighttime books. Both are overflowing with books! I have a backup bookcase with a lot of the bigger boy books that I rotate in and out every now and then. 7a – Mazen up. Breakfast for us both. 7:30-8:30a – Morning play for M and cleaning/dishes/getting dressed/packing up to go out for me. 9a-10:30a – Gym time and a shower for me. Morning snack is here. 11a – Home play time. I unpack our gym bags and start thinking about lunch. 11:30a – Lunch for us both. 12:30-2:30p – Afternoon nap for M. Work time for me. 5:30p – Lighter dinner for M. I cook our dinner. 6:15p – Grown-up dinner ready and if M’s dinner was light he has a second course with us. Newborn: Up every 2 hours at night. Naps on me for 30 minutes to an hour. 1-3 Months: Doing longer stretches at night like 3-5 hours. Naps 40 minutes a few times a day. 9-12 Months: M still sleeps 11 hours straight. Naps at 9a and 2p for 1.5 hours each (appx). 13-16 Months: M still sleeps 11 hours straight at night. Down to one nap at noon that lasts about 2 hours but can drop to 1.5 or go up to 3 from time to time. 16-17 Months: Still sleeping from 7:30p to 6:30a with the occasional 12 hour night. Naps drop down to 1-1.5 hours which I blame on teething and developmental stuff. 18 Months: Pretty solid 7:30p to 6:45-7am nights. Nap from 12:30 to 2:30p on a good day. In a YEAR since we sleep trained we have only had to go into Mazen’s room at night 3 times. All 3 times were related to teeth/sickness. It’s quick shocking, actually. Of course all babies are different, but next time I think I’ll worry a lot less about sleep. I spent so much time reading about what to do and what not to do in the first few months and still ended up having to sleep train. Next time I’ll just do what I can to get us all to sleep and will sleep train again at the drop of a hat. I might do it closer to the 4 month period, but we’ll just have to see what baby #2 is like in weight and all. Hope those were helpful to some of you! Wow, I can’t believe he consistently sleeps for 11 hours! That is so lucky, you can put him down and have the whole evening left. I’ve noticed you keep hinting about #2. Thinking about giving Mazen a sibling anytime soon? Not soon but it’s in the cards. We want to space them apart pretty far. Like 4 years. Oh, makes sense. I imagine it’s much easier to have a preschooler and a newborn than a newborn and a toddler. So many diapers, for starters! Incredible that Mazen’s sleep has been so consistent since sleep training despite learning to crawl and walk and all the other fun cognitive developmental milestones kids experience. My son is nearing a year and sleep continues to go up and down… though, in terms of a “squiggly line” effect, definitely moving in a good direction. I’ve learned to accept that setbacks arise but am amazed that you saw no changes at all! Try gradually increasing him for naps at 1 PM. That time works well for us. I can go to an early lunch at 11:30 with friends and then still make it home for naptime. Sleep training sounds like such a great plan. No baby yet, but I hope we have as much success with our future child sleeping through the night!! Do you have any outdoor toy recommendations? My 1 yr old son loves being outside but mainly plays with pebbles and plants. Love that you have a storage area foe toys all throughout the house! We have some riding toys – a bike and a push cart – so our outdoor toys involve wheels : ) Also a soccer ball and some beach/sand toys that he can use to carry things around the yard in. If he prefers pebbles and plants, forget toys! They’re cheaper, and you don’t need to worry about putting them away! You can get him a cheap bucket and shovel for all that dirt and pebbles. We also have a few toy stations set up around the house…but they always ALL end up in the family room! I never thought I would have to add “pick up and put away toys” to my daily list of chores…ugh! Thanks for the sleep advice. I’ve got a 12 week old, and was driving myself crazy worrying about developing sleep schedules and good habits. I finally just tried to stop worrying about it this week, and it’s definitely better for my mental health! He’s doing fine–sleeping in sometimes long (8 hr!) stretches, sometimes shorter but still decent (4-5 hr) stretches. Won’t nap in his crib, but I’m letting that go for now. Reading your note–that you’ll worry less next time–is super reassuring! Thanks! FWIW a tonne of people have told me that sleep is pretty much a crapshoot until after babies have their two-year molars! And my wee one hit a huuuge sleep progression / regression at six months and is still coming out of it at almost eighteen months but despite breaking all the “rules” (nursing to sleep, bed-sharing, no sleep training) she occasionally sleeps through the night. I worried about sleep in the early days but life was infinitely more pleasant for all of us when I just let it go! 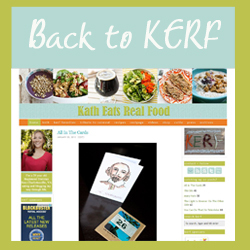 Kath – Is there any reason you don’t just include Mazen in your main dinner time? What does he do while you guys eat? Simply because I can’t start cooking at 430 if we’re out and our dinner is usually ready around 6. Sometimes he waits that long but even if he has his dinner early he still sits with us now and tastes some more food…like last week’s kale chips! Very helpful – thank you!! The sleep part in particular is helpful for me! We’re on day 4, so it’s good to know not to stress about sleep and it’ll all work out!! I will also sleep train again without question. We did start earlier around 4 months and never really did CIO, always went in and comforted, shushed etc every 5 min or so and never had to go through an hour of crying or anything like that. I’m 18 weeks pregnant (just found out it’s a girl!) and plan on doing things the exact same but will tweak with what works for her. We never have to go in my sons room at night and the sleep is amazing!! I love that you keep your baby on schedule. I’m a huge fan of having schedule in our lives, and we do very similar things with our baby. He has both, sleeping and feeding schedules. As he is transitioning from 3 to 2 naps, it’s a bit tricky and we have to be flexible (well, what mother does not?). Nice to see a like-minded mom! Hello! Do you have a post on sleep training? What method did you use? THANKS! I am 34 weeks along with twins and I know sleep training will be in my future. Have a lovely day. 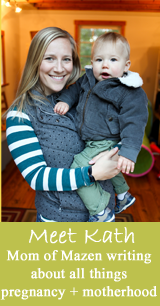 Next post: Motherhood: Is It Easier Now?